Banff National Park, in the Canadian Rockies, is world famous for its mountain scenery that looks precisely like mountains should. Rugged snow-capped peaks, emerald lakes and dramatic glaciers set a backdrop that’s breathtaking almost to the point of unbelievable. 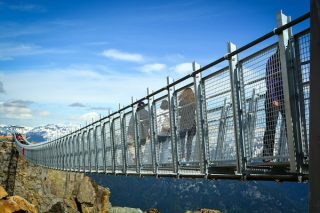 The best parts of the park are only accessible by foot; here, Citizens of the World give us a rundown of what it takes to set your eyes on two of the world’s most famous glacial lakes. 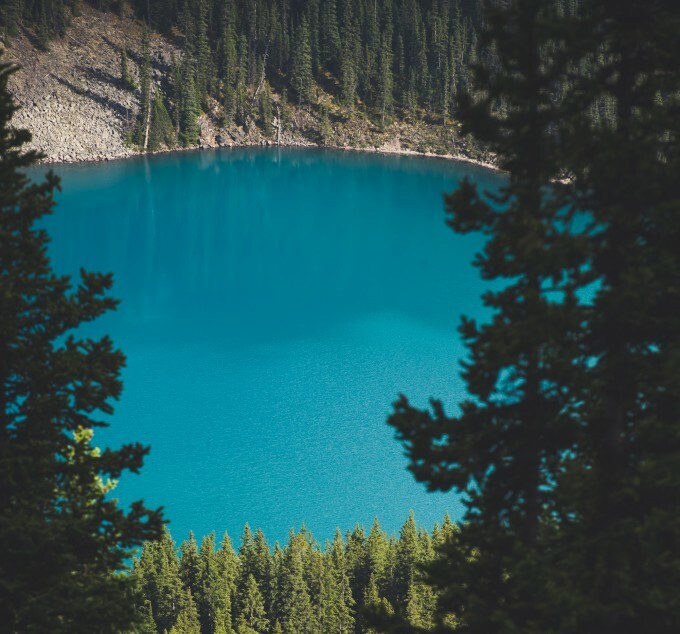 Canada’s Lake Louise and Moraine Lake barely need an introduction – together, their majestic blue-hued reservoirs of ancient glacial water seem to make up almost three-quarters of the average newsfeed. You probably scrolled past a shot right this morning… and for good reason. 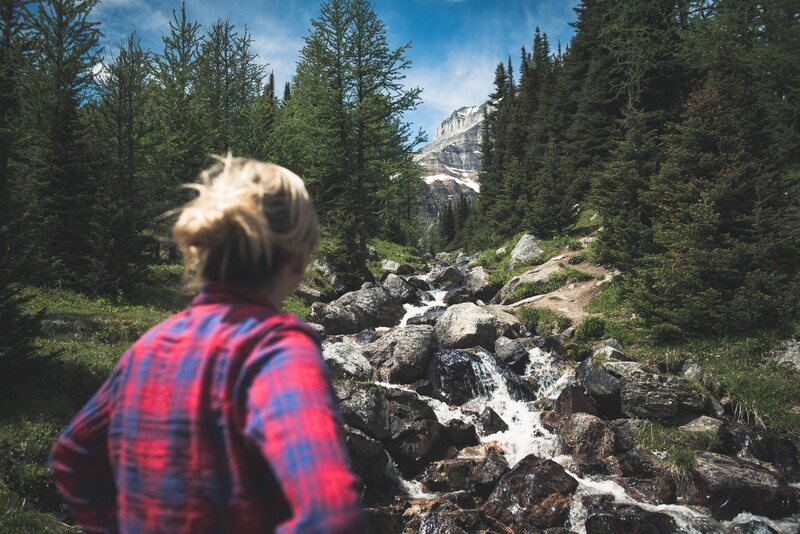 When you’re stuck in your grey office cubicle, pretending to analyse Excel spreadsheets, taking a few minutes to imagine yourself somewhere far away from your email is not only entertaining, it’s essential for mental health. In fact, according to Redshift Research, about one-fifth of professionals turn to social media for inspiration when it comes to planning their next holiday. 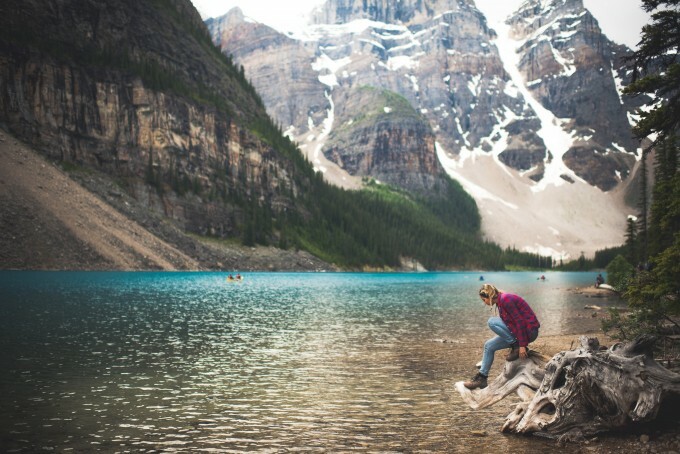 So in the interests of ensuring you get the maximum amount of zen from those precious days off, as well as – let’s be honest – the kind Instagram shots you can cling to when you’re back at work, here’s a how-to guide to Canada’s most loved and looked at lakes. Your annual leave is there to be used, people. Let’s make those weeks count. 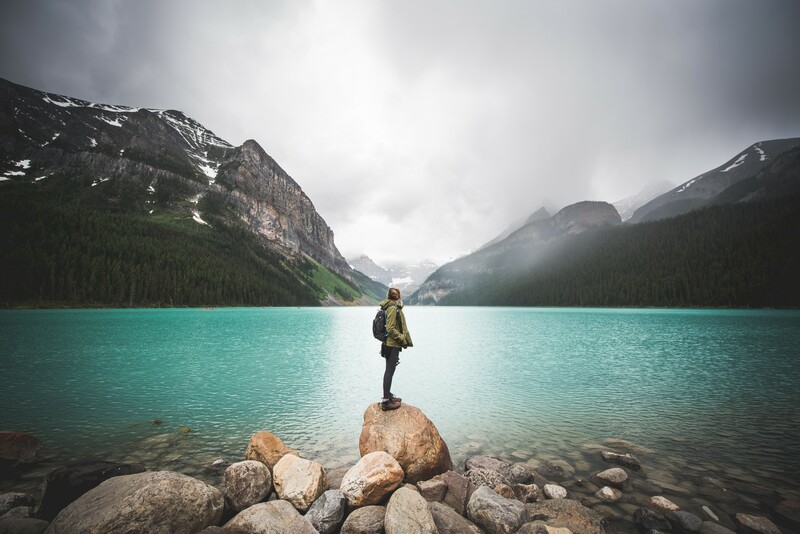 Many come to Lake Louise searching for those snow-capped moody shots from the shores that look like you just happened upon an oasis while hunting for water to fill your canteen during a quest through the Canadian wilderness. And you’ll get those shots for sure, as long as you don’t mind jockeying with a few hundred other Insta-fiends in the process. 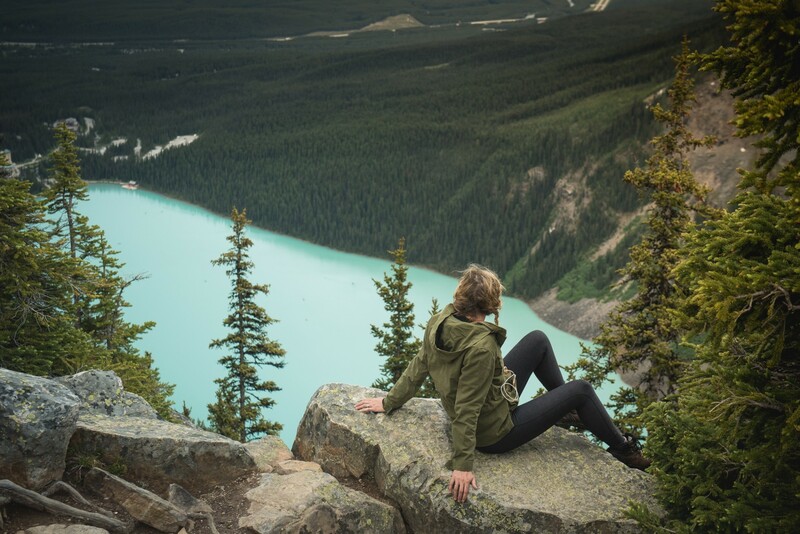 Like the veritable pageant queen that she is, Lake Louise in Alberta can get as crazy as she is come-hither, especially in summer. Sure, she’s stunning with her soaring mountain amphitheatre but every single person in the world wants to get close to her, which means in order to have any kind of success on this journey, you’re going have to take other people into account. This is one of those instances when the journey is almost as beautiful as the destination and we’re only talking about a road here, so we hope that gives you some indication of the kind of good-looks we’re talking about. It might take you about an hour longer but we guarantee you won’t be thinking about the extra time when you stumble across a mama bear and her cub in the bushes by the side of the road. 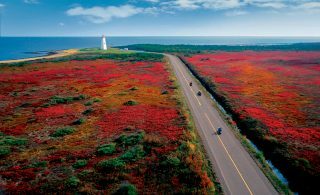 While the uninformed hoards are zipping down the ever-so-convenient Trans Canada Highway, you’ll be meandering your way through storybook forests forgetting about time altogether. This is where the wildlife come to show off so if you see a cluster of cars pulled over, then you know something good is going down. 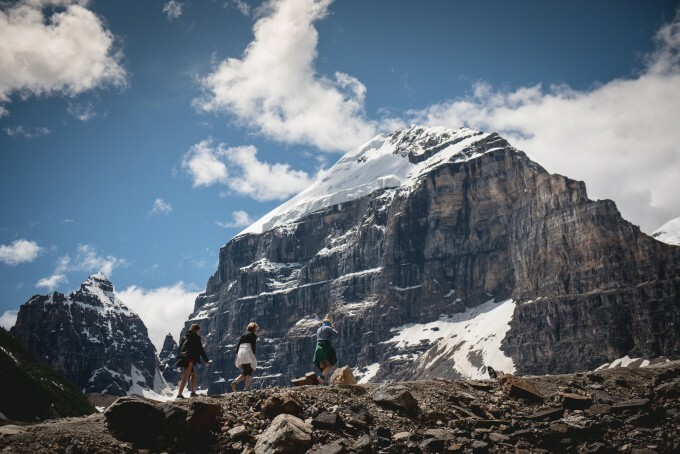 Big Beehive is the shortest but arguably one of the most badass hikes around Lake Louise. The bonus? In typical friendly Canadian style you can stop for a pot of tea on the way up. It all starts very civilised at Chateau Lake Louise where the trail is thoroughly well-maintained and softly inclines for about 2.4km until you get to Mirror Lake (which, you’ll notice, isn’t just a clever name). This is the turning point where you ask yourself “how much do I really want a cup of tea right now?” To which the correct answer is always “So much! I love tea!”. With that decided, press on behind Mirror Lake towards the highline trail directing you to Lake Agnes. Things will start to get a little tougher for about half an hour. The bugs are angrier, the ground softer, but you might not notice because there’s a shimmering cascading waterfall singing its siren song of Earl Grey and Oolong, marking the final climb towards Lake Agnes Tea House**. 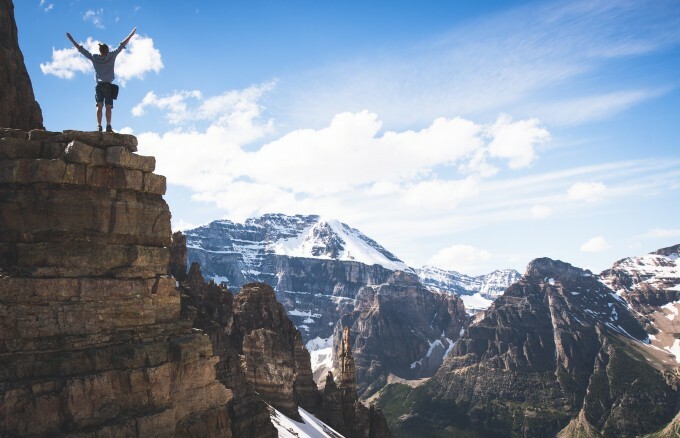 Restored by the caffeine hit, we recommend carrying on around the back of Lake Agnes and following the switchbacks (zigzag uphill climbs) to the crown of Big Beehive for views across Lake Louise and Bow Valley. **Write to us and confirm that it isn’t the best Earl Grey you’ve ever tasted at 2,135m. It all comes down to personal preference. Do you like your breathtaking vistas utterly in your face like a freshly bought Macbook background? Or do prefer to go digging for ocular gold as you crave a more intimate relationship with nature; the kind where you can wipe the sweat off your brow, strip the shirt off your freshly hiked loins and dive into the water without the fear of mentally scarring a few thousand tourists? It doesn’t matter which you prefer because Moraine Lake offers both. 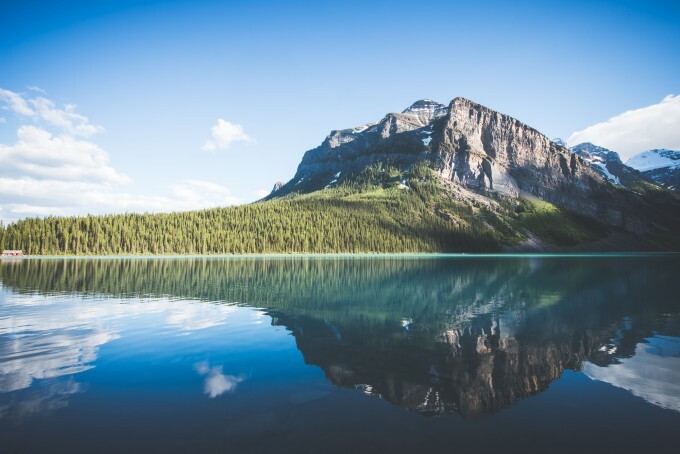 Flanked by chiselled peaks and jagged rock piles providing a dramatic foil to the ultra-calm blue of the water, what Moraine might lack in size (compared to Lake Louise, anyway) it more than makes up for in personality. 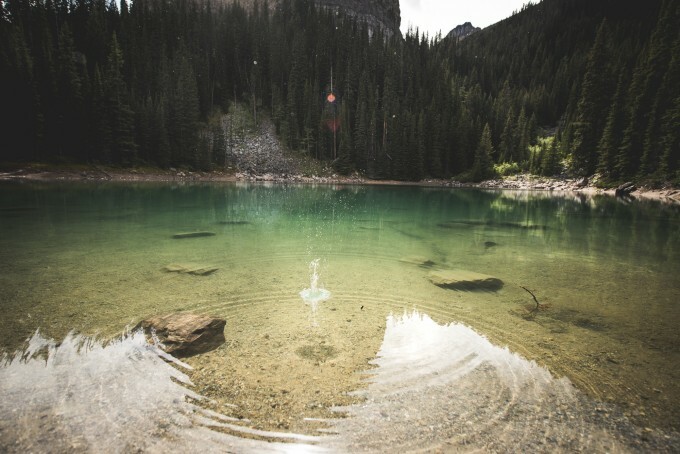 There are layers to this lake and you’ll get the most out if you take your time to let her reveal her secrets. 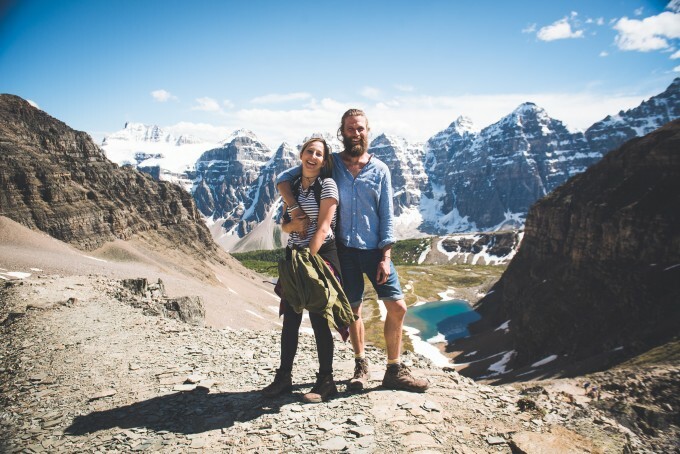 If this is your first time to Moraine Lake you’re probably going to want to join the rest of the tourist hoards and climb your way up the Rockpile Trail, which offers a typical but no less incredible widescreen view across the lake from the summit. Get that out of the way because everyone does it and it’s worth it. However, don’t stop there. 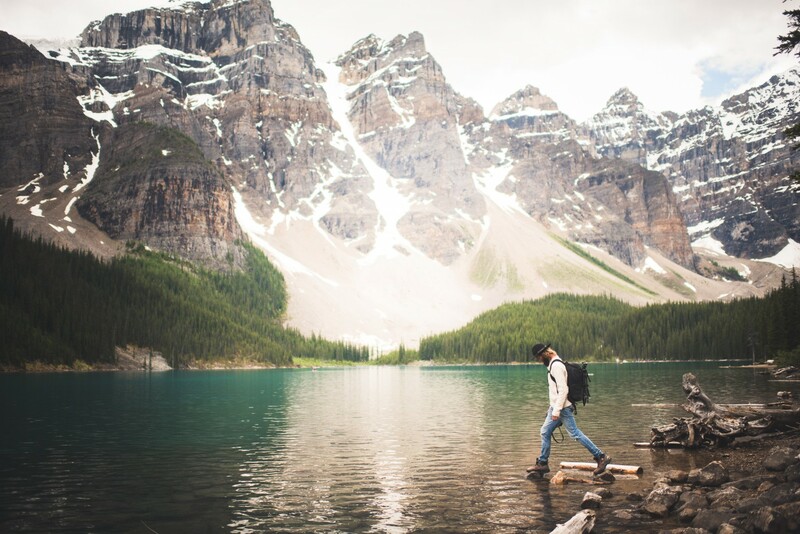 Moraine has one of the most picturesque Lakeshore Hikes in the world and you don’t even need to be an apex hiker to tackle it. This is a world-class walk in every respect. You’ve got emerald water on the left, soft mossy canopies on your right and charming footbridges crossing rushing waterfalls below. Finally the walk finishes with brilliant cascading rapids funnelled from Eiffel Lakes and Wenkchemma Pass. Hot tip: Officially, the walk is only about 1.9km but that’s when you start at Moraine Lake Lodge. 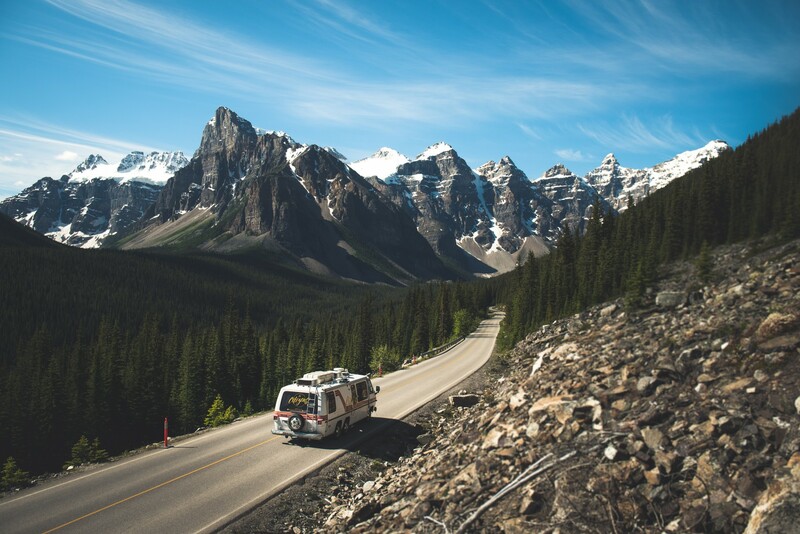 Most visitors who aren’t on a tour bus have to park about a kilometre out on Moraine Lake Road and you’ll be able to measure the crowds based on how many vehicles you see squeezed off the asphalt and onto precarious precipices as you drive in. If you want to get great shots of Lake Moraine, go in the morning before 7am. The added bonus of an early start means you’ll bypass all the car traffic and, to be honest, the sun sets behind the mountains in the evening anyway. 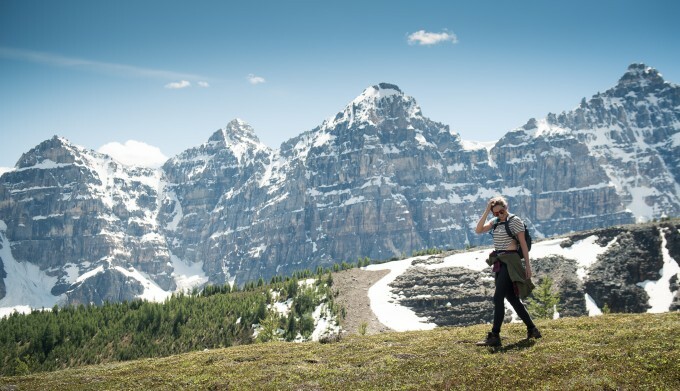 Regarded as the difficult sister of Lake Moraine’s well-worn walking tracks, Sentinel Pass will take you through some of the most spectacular scenery Canada can provide, and you’ll also zigzag more times than you can count. Pack lots of water and prepare to blast ‘Eye of The Tiger’ into your earbuds, because the Sentinel Pass Hike will definitely test your endurance. The walk starts out easy along the Lakeshore Trail. Expect to be lulled into a false sense of security and fitness. Don’t be deceived; it very quickly turns into a hell-sweat of switchbacks as you begin the 732m elevation. It’s gruelling for about 45 minutes (depending on how your lungs cope) until it levels out onto the picturesque valley of the Ten Peaks. This part feels like a fairytale and you could easily stop here and be happy. Push yonder though, through the wildflower meadows towards Summit Pass until you hit a final rank of sharp uphill bends. 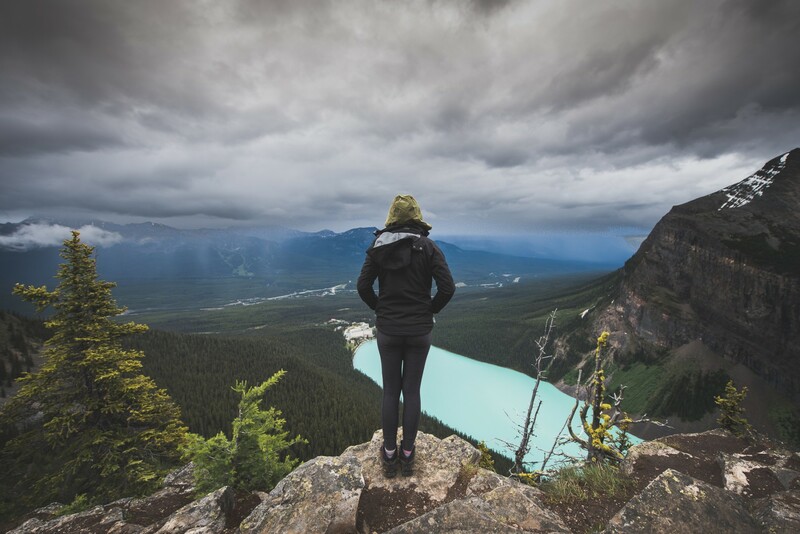 The temptation to flee here will be strong but if you conjure up the inner strength of a Navy Seal you’ll reach one of the most awe-inspiring views nature can provide as you stand 3,543m high at the Summit of Mount Temple looking out over the valley below. Whip out your iPhone, you’re going to want to remember this. Some lunatics continue on from here, walking down the other side towards Lake Louise. We don’t expect you to do that. Pro tip: During bear season the hike requires a tight group of five because apparently Canadian bears hate crowds as large as One Direction. But seriously, hike safe, don’t be a hero, leave that stuff to Bear Grylls. Check out Qantas flights to book your next adventure in Vancouver.